Celtic are favourites to secure another treble this season as they sit pretty on the top of the Premiership table 11 points clear of their nearest rivals Rangers. The Hoops have also secured their place in the Scottish Cup finals, and they would be favourites to go past Hearts of Midlothian. 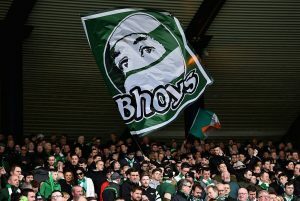 However, the upcoming summer transfer window is going to be a crucial one, and a successful window can set the Bhoys up perfectly for ’10 in a row’. 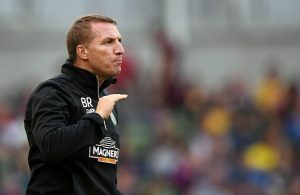 Celtic are going to lose two of their crucial centre backs in the summer as Dedryck Boyata is likely to depart on a free transfer, and Filip Benkovic’s loan spell would come to an end. Therefore here are the three centre backs which Celtic can go after in the summer. The Newcastle United defender has fallen down the pecking order at St. James’s Park ever since the emergence of Fabian Schar and Florian Lejeune. 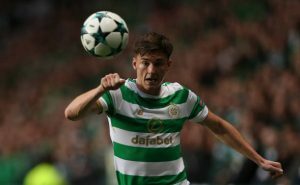 Clark has managed just 11 appearances in the Premier League this season and his lack of game time could be the reason why Celtic might be able to lure him to Parkhead. The 29-year-old is an experienced defender who can even play as a left-back when required. The Irish international has decent defensive abilities as well as on the ball skills which should suit Celtic well. He also has a knack of scoring goals from set pieces as he has three goals to his name in the Premier League this season. All in all, Clark will be a complete package with the right amount of experience. The Bournemouth defender was linked with Rangers in the summer of 2018, but Eddie Howe decided to keep hold of him. However, now it feels like it was a wrong decision for the development of the defender as Simpson has managed to play 86 minutes in the Premier League so far. The Cherries also signed Chris Mepham from Brentford for £12m in January, so that pushed Simpson further down the pecking order. Celtic can make a move for this talented defender in the summer. A name which has been linked with Celtic for quite a while now. Celtic will lose two dominant defenders in Boyata and Benkovic, and the Scottish international could be an ideal replacement. The defender has time and again shown that he can be a reliable centre half. The price tag could be a bit of an issue as last summer it was reported that Aberdeen would demand £10m for him. Ross County Vs Celtic: Can The Hoops Extend Their Lead At The Top? Celtic Linked With A Move For This Nigerian Wonder Kid- Will The Striker Help Them Sustain Their Dominance? Tottenham Hotspur In The Hunt To Sign Celtic’s Star Defender: Right Move For Pochettino? Celtic Want This Football League Sensation – Another Stunning Deal From Rodgers?